This week, I decided to reread To All The Boys I’ve Loved Before by Jenny Han. The reason being that the second book of this series is coming out next month, and I am really excited for it. The novel is about the life of a stylish, quirky seventeen year-old, Lara Jean Song Covey. Lara Jean never had a boyfriend. Whenever she has a crush on someone, she would admire him from a far, and imagine what it would be like to be loved by him. Usually, her crushes end due to unfortunate circumstances or the guy liking another girl; as a result, Lara Jean would write a goodbye letter to him, and hide it in her special teal hat box that her mother gave her. One day, her life turns upside-down when her goodbye letters are mysteriously sent out to their respective recipients, her crushes. While rereading, I couldn’t help but notice the possibility that this novel could be transformed into an Asian drama. I’ve seen many Korean, Japanese, Taiwanese dramas. Hence, this novel has some of the elements needed for a good live-action drama. Thus in this blog, I decided to mention some of these Asian drama elements that I found in To All The Boys I’ve Loved Before. 2. There is a tragedy. Usually, tragedies involve someone dying. In this case, Lara Jean’s mother passed away from an accident. As a result, Lara Jean and her sisters had to grow-up and take care of themselves. 3. The importance of family and family values. Throughout the novel, a majority of the action takes place at home, where Lara Jean and her older sister, Margot, are cooking in the kitchen, or the family gathered around the table for a meal. The readers are introduced to various Covey’s family traditions such as Christmas Cookie Bonanza, and the recital party. Even though their mother is gone, the Covey family keeps her alive by upholding the many traditions that they have done together. Furthermore, the sisters are close to their mother. They call themselves, the Song girls, which is their mother’s maiden name. 4. The main protagonist is like-able among readers. In this novel, the main character is a cute, quirky girl named Lara Jean. Her reaction to certain situations is hilarious. As a reader, we can squirm in embarrassment with Lara Jean when she confronts her crushes. Her innocence and quirky attitude makes her a like-able and relatable character to readers. 5. The main guy, Peter Kavinsky, is a popular, narcissistic individual. Many girls swoon and fall for him, but Lara Jean is reluctant to fall for Peter’s flirtatious moves. 6. There is an obsessed secret admirer, or a jealous former flame. Peter’s ex-girlfriend, Gen, is jealous of Peter and Lara Jean’s relationship to the point of spreading cruel gossip that ruins Lara Jean’s reputation. 7. Bold gestures and actions that you wouldn’t do in reality because of sheer embarrassment and the consequences. The main leads end up as a “fake couple,” in order to avoid certain people. Peter is dating Lara Jean as a way to make an official statement to everyone that Gen and him are over, and also to make Gen jealous for breaking up with him. While Lara Jean is dating Peter as a way to avoid an awkward confrontation about the love letter sent to Josh, her next door neighbor and her older sister’s, Margot, ex-boyfriend. 8. Contracts. Some Asian dramas have the two main leads forced together by some form of contract or agreement, which usually creates a master-servant relationship or a “fake” romantic relationship. These types of dramas are always the most fun and entertaining to watch because the two main leads eventually fall in love with each other. In To All The Boys I’ve Loved Before, Lara Jean and Peter create a contract that explains the ground rules for their fake relationship. 9. Love triangles and/or love squares. A good drama has many complex, interwoven relationships and friendships. Lara Jean has complicated relationships with two main love interests, Peter and Josh. Peter may have some leftover feelings for her ex-girlfriend, Gen, and Josh is her sister’s ex-boyfriend. 10. A fated encounter. Usually dramas add depth to a potential lover of the main character by saying that the two people have been childhood friends or have met long ago. In this case, Lara Jean and Pater used to be friends during middle school, and they shared a kiss one time. By having some history together, it appeals to the readers’ eyes because one could assume that the two are fated for each other, which makes the relationship more romantic. To All The Boys I’ve Loved Before is a hilarious and cute love story. I can’t wait for the second book to come out this May because I really want to know what will happen to Peter and Lara Jean’s relationship. Hi Lynlyn , this book has been on my TBR for so long , you just piqued my interest. The reasons I read on your post for relating this to an Asian dramas are very valid from what I’ve watched starting from the narcissistic lead to the contract that starts it all. All it needs is someone to end up with amnesia. Oh man, if they had amnesia or a hospital scene in the series that would be funny. Another reason why I liked this book is the amount of Korean culture it tries to incorporate. The author is Korean, and I liked how she tries to show her culture in this novel. She always talked about food, so every time food was described, I would get hungry. Hi Lynlyn , This book has been on my TBR for so long and you relating it with Asian dramas has sealed the deal , I’m reading it asap. Your reasons are so valid starting from the narcissistic dude to the love contract that usually starts it all , what’s left is someone getting amnesia . Great post 😄. Hey lynlyn your reasons are valid , all that is left is for someone to end up with amnesia. This book has been on my TBR list for quite sometime , it just moved up. Great post btw. 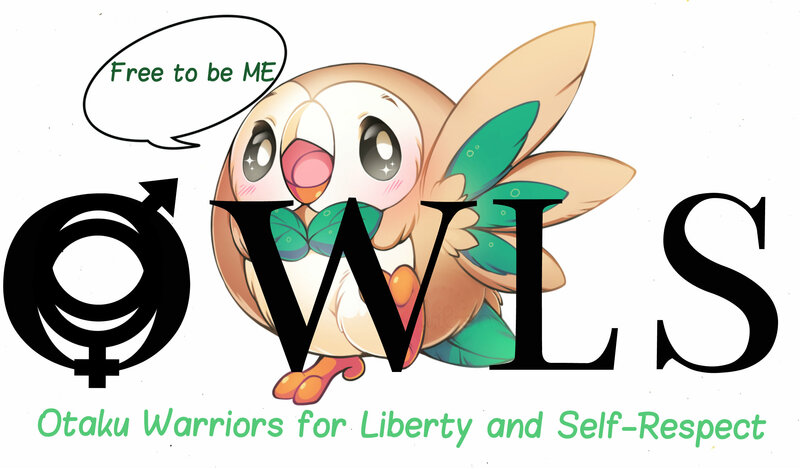 If you would like to join OWLS, click here. Just Something About LynLyn is a member of the WordAds Program. I permitted ads to run on my blog so that I can get paid by cost per impression (CPI). So I would really appreciate it if you turned off your Ad blocker for this website so that I can earn some money. With the earnings I make, I will use the funds to create better content for you all, and you will also help feed a poor graduate student. All the words on blog posts and pages are written by Just Something About LynLyn, unless otherwise stated. Just Something About LynLyn does NOT own the videos, soundtracks, and images in this website, unless otherwise stated. All videos, soundtracks, and images are credited to their respective owners or websites. If you see an image, video, or soundtrack that is yours and would like for it to be taken down, please notify me, and I'll have it taken down immediately.